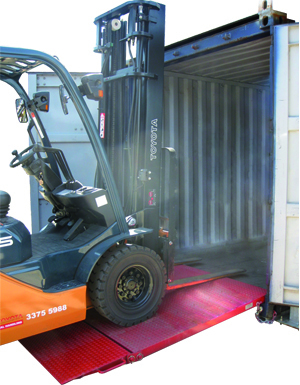 The Bremco Forklift Container Ramp (folding) is designed in a unique way to access standard shipping containers using a bi-folding container ramp. It allows the forklift operator to approach the container straight on, with fork pockets under the main body of the ramp. Once in position the small ramp section is folded over to form a full ramp section approx. 2100mm long. 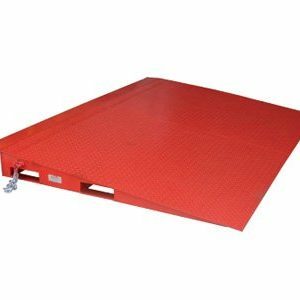 The Bremco container ramp will also self level from a height of 150mm to 250mm, and we offer three models (refer to table below), depending on the required load.